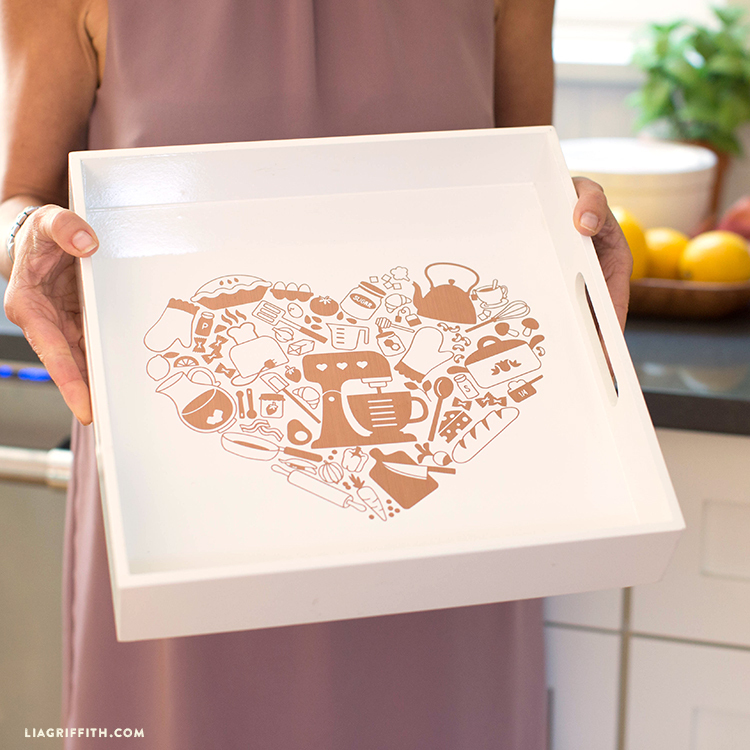 Serve up some love with this adorable vinyl decal tray. What a great gift for your favorite chef or a sweet way to serve up a special breakfast in bed. 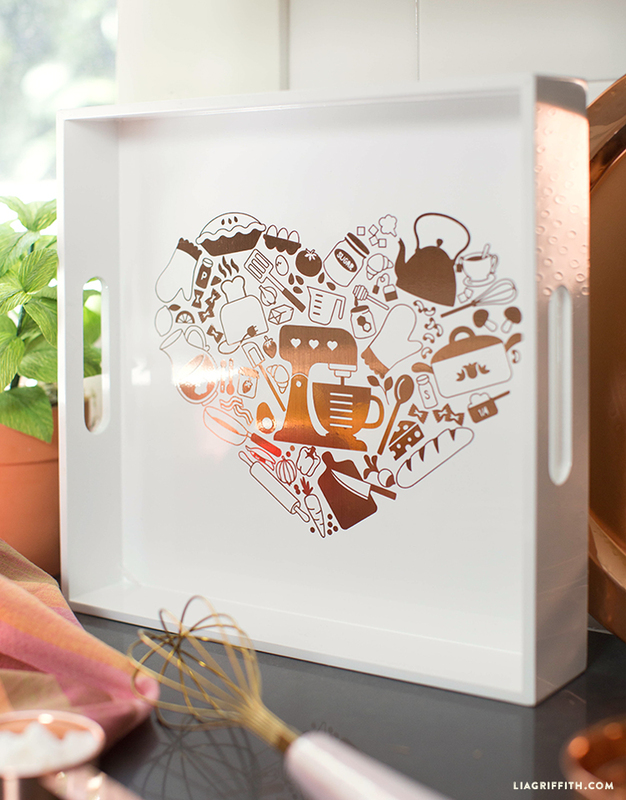 This project is so simple and it’s the perfect addition to your kitchen or breakfast nook. It’s as easy as cut, peel, stick. 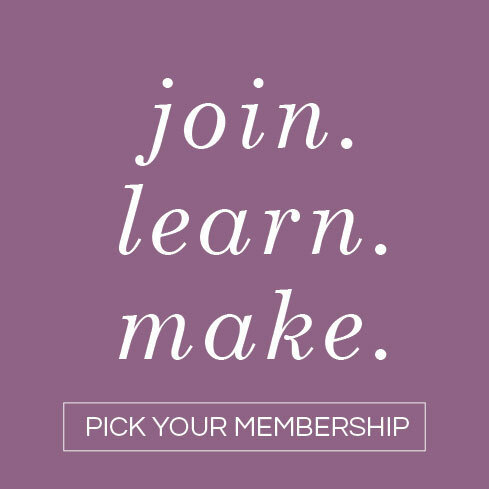 If you like this design you might also like our matching cards, apron, oven mitts, and tote. Serving up your fresh baked creations on this tray will make them even sweeter. Why? Because this diy project is crazy simple to make! 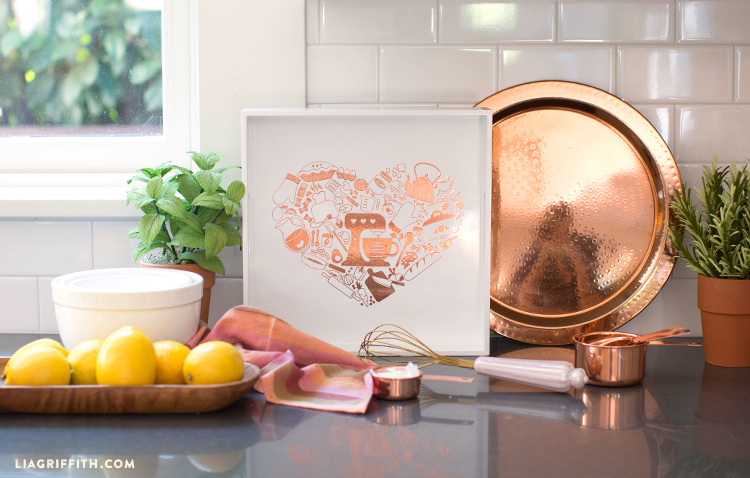 Follow along with our super easy recipe below to serve up some love with this vinyl decal design. 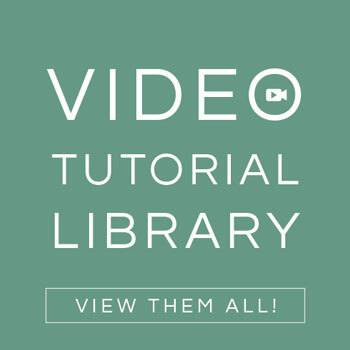 See our video below to learn how to apply vinyl designs using transfer tape. Ok…I’m new to all these new things. 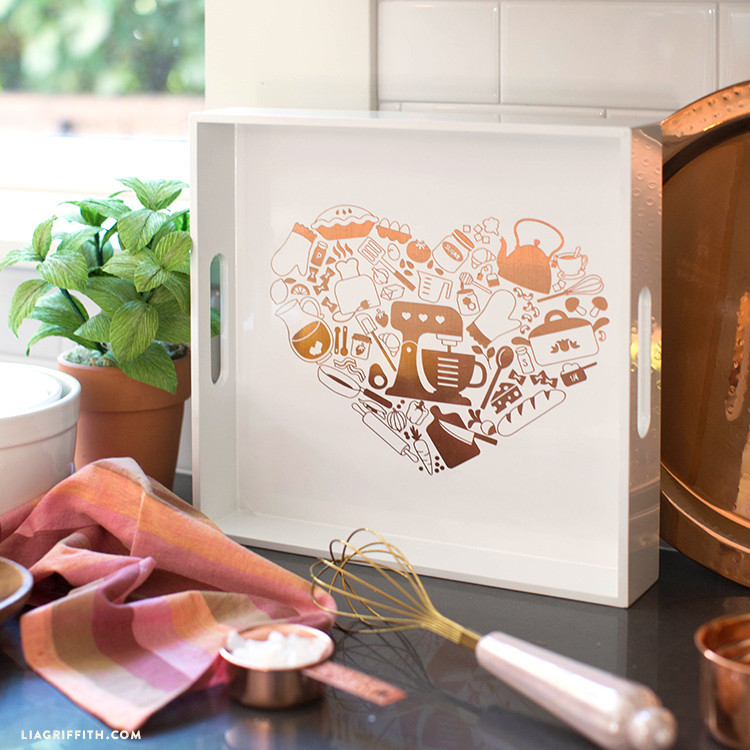 I am loving the tray with all the kitchen “goodies” on it and want to make it for my niece. I need further instructions. Maybe start to finish. I downloaded the design … I have a “Spellbinder” Machine. Hoping it will work. Ordered the transfer tape and the copper foil. I am not understanding the next step of using the download design and the foil??!! Can you help? Thanks so much. Hi Wendy! I’m not familiar with that machine– you should reach out to their customer service to guide you through the process! Oh no! We like Cricut’s new(er) strong grip transfer tape, and use the scraper tool to burnish. 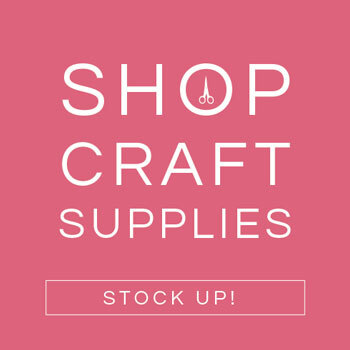 You might reach out to Cricut for some ideas or see if they’ll replace your transfer tape if it’s not working!